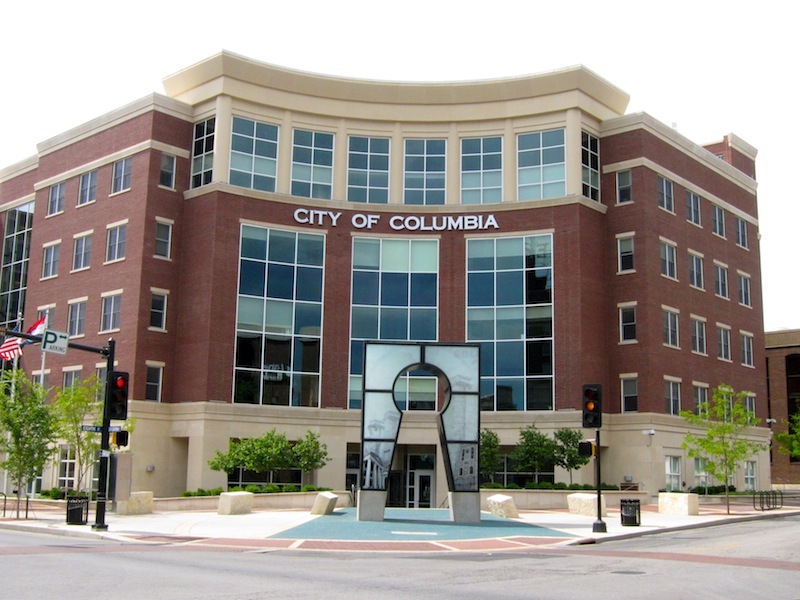 COLUMBIA, Mo 4/2/18 (Beat Byte) -- "The hypocrisy of running on public safety while making sad excuses for your drunk driving astounds me," Second Ward Columbia City Councilman Michael Trapp said on Facebook this weekend, chiding opponent Paul Love for his DUI arrest last Monday. But Trapp campaign manager Nathaniel Irvin is a twice-convicted DUI offender who lost his position as Democratic congressional candidate Renee Hoagenson's campaign manager over a third DUI arrest last October. Irvin collided with another vehicle and two guard rails near Highway 63, Interstate 70, and Conley Road in Columbia, according to a Columbia Police Department incident report. He registered a 0.127 blood alcohol content, over one and a half times the legal limit. Convicted of driving while intoxicated twice previously -- in 2007 and 2013 -- Irvin is facing the latest charge -- a felony -- on suspicion of being a persistent DWI offender and driving with a suspended license. He received a stint in the Substance Abuse Traffic Offender Program (SATOP) and two years probation for the 2007 conviction, but violated it and served a short jail sentence. The next hearing in his third case is scheduled for May. Recent campaign finance filings show Mr. Trapp paying Mr. Irvin $2,000 for campaign management. His duties have included a voter registration drive in Mr. Trapp's name; social media advertising for the Trapp campaign; hosting live fundraising receptions and donation requests on political sites such as Nation Builder. Mr. Irvin's Twitter feed is also a frequent source of information and material about the Trapp campaign, including live Q & A events. In addition to criticizing Mr. Love on Facebook, Mr. Trapp stepped into the media frenzy, offering what sounded like a professional opinion about his opponent's arrest. Mr. Trapp is a substance abuse counselor and former director of Phoenix Health Programs, an addiction recovery center. “That’s either a political coverup or denial behavior, and that’s typical of what you see in drunk-driving behavior,” Mr. Trapp told KRCG television about Mr. Love's predicament. Found unconscious in his car, Mr. Love has repeatedly told media outlets that his type two diabetes largely contributed to the field blood alcohol test. The link between diabetes and false DUI breathalyzer tests is well known. Charges in Mr. Love's case, if they materialize, are still three to four weeks away. Both the Columbia firefighters and police unions have stood by their endorsements of Mr. Love. "My fundraising shows my hard work and broad support in the community," Mr. Trapp told the Columbia Heart Beat when asked for comment about Mr. Irvin. The incumbent and challenger face each other in tomorrow's election.